Marzella Hofer Kight of Birmingham, AL met Jesus on Feb. 25, 2019. Born Dec. 2, 1935 to Joseph and Elizabeth Hofer in Onida, SD. She served in the Army and attended N.W. Bible College. She loved like Jesus, worked hard, and had integrity. 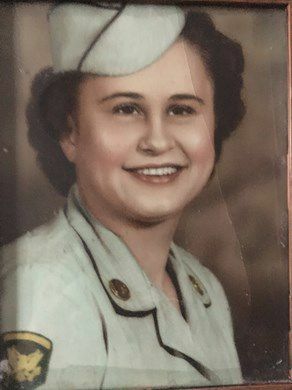 She is survived by daughters Romona Johnston and Valerie Kight; grandchildren, Amanda Ramey, Jenifer Beall, Joshua Wright; great grandchildren Henry Jable Ramey, Lainey Ann Ramey, Kip Ramey, Addison Beall, Grayson Beall. She is preceded in death by her two sisters and three brothers, husband James Ernest Kight; son Benjamin James. At her request, her body was donated to the University of AL at Birmingham. Posted in Obituaries on Friday, March 29, 2019 3:58 pm.